Other additions include a wide core cooling pack, cyclonic engine air pre-cleaner, reverse fan, auxilliary fuel tank and electric park brake. The 1800 rpm ECO power setting for light duties is joined by a ‘low idle’ feature that automatically cuts engine speed to just 700 rpm after 30 seconds of inactivity. Together with a variable speed cooling fan to cut power loss, these features contribute to significant reductions in fuel usage over the machine’s lifetime. Careful attention has been paid to lowering other running costs wherever possible. “For example, the new brake design reduces wear while the axle service interval has been extended to 1500 hours,” Steve says. The Powerinch feature on the six-speed powershift transmission disengages the clutch so that full engine speed can be used when stationary for optimum loader tear-out and lift. 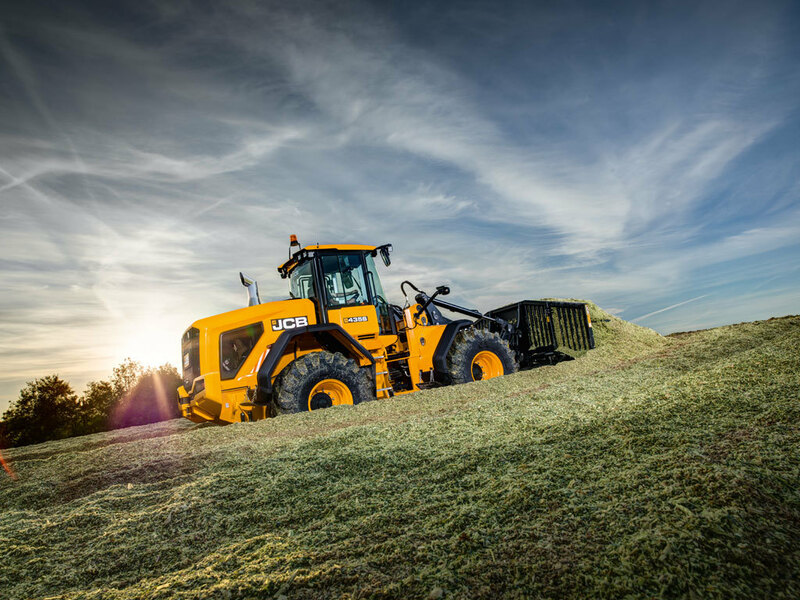 With a top speed of 48 km/h, the 435S Agri keeps pace with other farm vehicles during busy periods such as silage making. 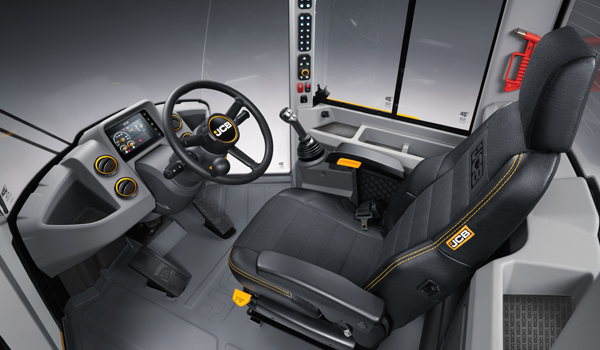 The new high-mount ‘Command Plus’ cab provides class-leading operator comfort, visibility and quiet. The ‘Contractor Pro’ specification offers 360-degree lighting, a super deluxe seat, cabin carpet, cool cox and a stainless steel exhaust stack. The 435S Agri builds on the success of its predecessor, the 434S Agri, the first heavy class wheeled loader designed and built specifically for agricultural applications. “These innovative machines are purpose-built for high performance and easy, stress-free operation in demanding agricultural conditions, such as silage rolling,” Steve says. “Today’s high capacity forager harvesters are capable of processing tonnes of silage every minute and often you’ve only got 10 minutes between each trailer load. “You need a high capacity machine to stack and seal that silage as quickly as possible to maintain its nutritional value. A 435S Agri fitted with a four-metre buck rake can clear a trailer load in one pass, which gives you plenty of time to roll and seal the silage before the next trailer arrives." JCB is one of the world’s leading manufacturers of construction, agricultural and materials handling equipment.